Join At Home In Louisville Real Estate Group This Sunday May 31st from 2-4pm at this beautiful home in Wellington! You'll absolutely love the move in ready interior with three Bedrooms & two full baths. Visit the link below to view additional photographs or call 502-371-1173 for more information! We would love to give you a personal tour. Highly desirable area, lovely interior, & numerous updates! 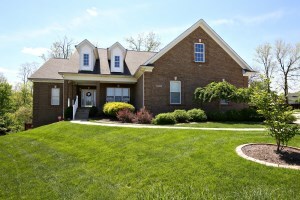 Join At Home In Louisville Real Estate Group this Sunday May 24th for THREE Open Houses in the Louisville area. We would love to give you a personal tour! At Home In Louisville Real Estate Group will be hosting an Open House This Sunday May 17th from 2-4pm at this beautiful stand alone townhome in Cliffwood. 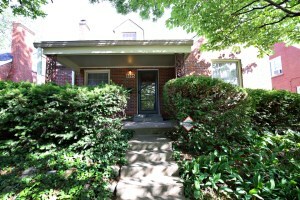 The home is positioned between Frankfort Ave & Grinstead and includes 3 Bedrooms and 2 1/2 Baths. You'll love the feel of a single family residence with the ease of condo living. Call 502-371-1173 for additional information or visit us this Sunday from 2-4! 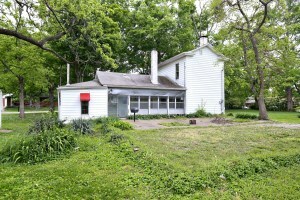 6209 Applegate Ln Louisville KY 40219 is a dream property for an investor. 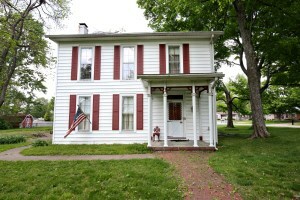 The home was built in 1900 and sits on over a half acre of land in Maple Hill. There is original hardwood throughout the majority of the home. 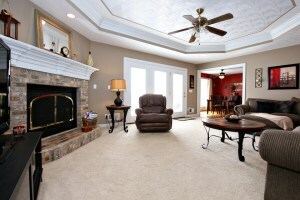 The front foyer leads into the Living Room with a coal burning fireplace. 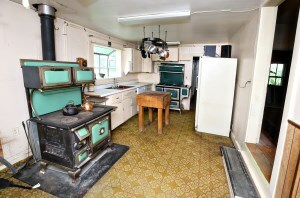 The Eat In Kitchen has two stoves (one cast iron and one gas). The Formal Dining Room has wainscoting. The first level also includes one Bedroom, the Laundry Room, a Full Bath, and Mud Room. The stairway to the upper level includes an original wood banister. The second floor Bedroom rounds out the floor plan.6209 Applegate Ln Louisville KY 40219 has a large level back yard & a back patio. Call 502-371-1173 for additional details about this home in Louisville or to schedule a showing. 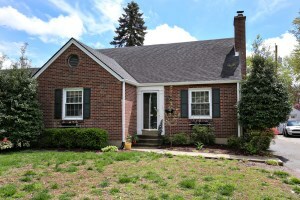 4425 Mansfield Estates Dr Louisville KY 40299 is an expansive four bedroom, three and 1/2 bath Ranch home in Louisville. The home sits on a lovely cul-de-sac lot and showcases an open floor plan. Enter into the front Foyer with hardwood flooring and arched entrances to the LIving Room & Formal Dining Room. The Formal Dining Room is accented by decorative chair rail & crown molding. 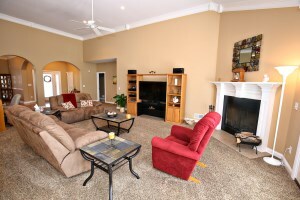 The Living Room is wonderfully spacious with elevated ceilings, recessed lighting, and fireplace. The cook in your family will adore the Kitchen with plentiful cabinetry & under cabinet lighting, tile floors & backsplash, & comfortable Dining Area. 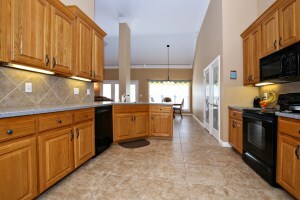 The Kitchen also offers a double wide pantry! The Master Bedroom is peaceful with vaulted ceiling & quiet Master Bath with shower, walk in closet, jacuzzi tub, double sinks, and tile floor. Two additional bedrooms are connected by a Jack & Jill bathroom with tub/shower combination & double sinks. The Laundry Room & a Half Bath complete the first floor. 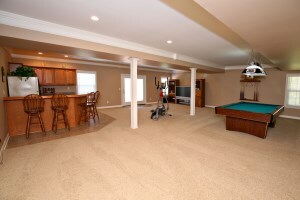 The walk out finished basement offers tremendous additional space to include a Family Room with recessed lighting & bar area, Bedroom, and Full Bath. Enjoy plenty of space to park & store lawn equipment in the 3 car garage & separate utility storage area with steel exterior doors. 4425 Mansfield Estates Dr Louisville KY 40299 also features two water heaters, a bonus area above the garage, alarm system, and dual fuel furnace. The home even has two decks for outdoor dining & entertaining! Call 502-371-1173 today to schedule a showing or obtain additional information about the property. Join At Home In Louisville Real Estate Group this Sunday May 3rd from 2:00-5:00pm at this gorgeous home in St Matthews! You will love this updated Cape Cod with three bedrooms and a 4th room in the basement! Enjoy the superb location within walking distance of shopping & dining! Relaxing screened porch out back, fenced yard, and 1 car garage! 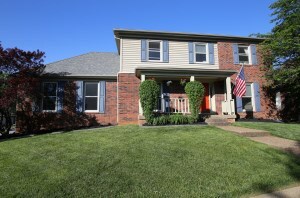 Call for more information about open houses in Louisville this weekend!